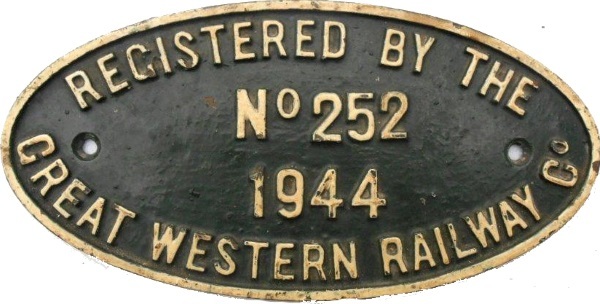 Lot 172 C/I Oval Locomotive Worksplate "REGISTERED BY THE GREAT WESTERN RAILWAY - 1944 - No 252. As carried by 0-6-0 Ex Cromford and High Peak Railway J94 No 68013. Excellent condition. Not common.